Magnetic therapy is complementary, non-invasive and 100% natural. The magnets developed by Bioflow use a strong, multi-directional force of magnetism called Central Reverse Polarity. Standard magnets have single polarity (a North and a South pole) where as Central Reverse Polarity magnets have a unique arrangement of magnetic poles (North – South – North). This technology is patented to Bioflow and no similar method exists. Bioflow bracelets and wristbands contain only the highest quality neodymium magnets, the strongest type of permanent magnet known. Magnotherapy is not a new concept; the healing properties of magnets have been known for thousands of years. Ecoflow(R) has been at the forefront of developing this science into practical products for over a decade. We have received thousands of letters from customers telling us what a difference there Bioflow(r) has made to their lives and to date over a million people have made the decision to use our magnotherapy products. Now is the time to join them! 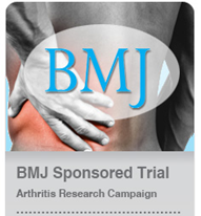 In 2004 the British Medical Journal published the results of a two year trial sponsored by the Arthritis Research Campaign into the use of Bioflow(R) on osteoarthritis of the knee and hip. The report documented this peer reviewed clinical trial in full. The British Medical Journal insists on a high level of integrity in any trial they publish and this was the first peer reviewed trial in the world directly relating to specialist static magnets in regard to pain relief. Placebo effects are particularly difficult to control because of the easy detection of magnetism. Bracelets with static magnets decrease the pain from osteoarthritis of the hip and knee, over and above the effects of placebo. These benefits are supplementary to those from usual treatments.